Creating a new digital platform to help businesses in NSW maximise their potential. The NSW Business Chamber is NSW's peak business organisation committed to making the running and growing of business in Australia, easier. The organisation has a membership of over 20,000 and 119 Chambers of Commerce in NSW and the ACT. 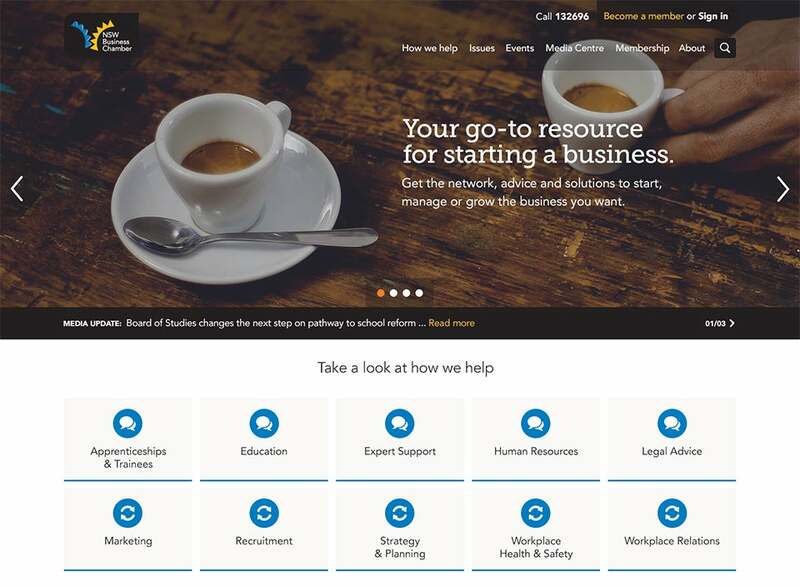 Interesting created a new Digital Experience Platform built on the Kentico 8 EMS to help the Chamber better serve a new generation of Australian business. As part of the project, we created a modern and efficient responsive website, new workflows to help capture and convert new members, and an outstanding customer experience across their extensive range of online products and services. The project aligns with the Chambers 2016 digital engagement strategy. We created a product roadmap that would see the Chamber develop an entirely new approach to digital over a series of five phases. By clearly establishing the long-term requirements, and functional specifications needed to upgrade the legacy CMS to Kentico 8 EMS we were able to architect, design and build an entirely new responsive website. 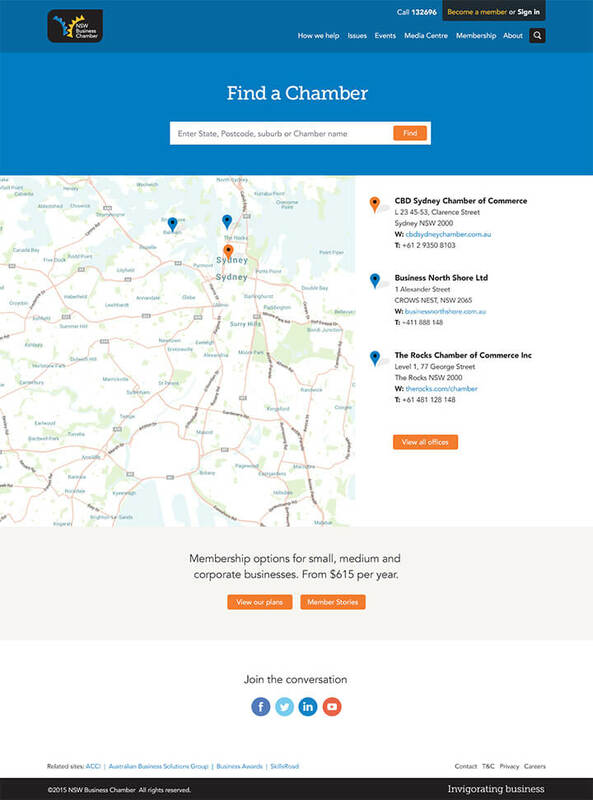 We are now engaged with the chamber to update their member dashboard, regional Chamber websites, awards area and customer service tools. The decision to upgrade from Kentico 6 to Kentico 8 EMS meant that core features and functionality were easily retained allowing for resource and budget to be efficiently channelled into developing new site content, features and functionality. Interesting implemented Kentico E-commerce functionality for online membership and payment fulfilment, and the outdated Swift Email Management system was replaced with a new Kentico Email Marketing MVP, now evolved into a fully integrated set of responsive, dynamic email templates that are created based off a user-controlled member preference centre. Interesting helped the leverage significant user experience improvements made to the Kentico 8 admin interface allowing for easier page management via the WYSIWYG Editor, Web Parts and Media Libraries. Kentico caching functionality has also been used to ensure that the site delivers content in a quick, efficient manner while also reducing load on the server. There was an immediate increase in month-on-month site revenues, significant improvements to mobile and tablet traffic and bounce rates have reduced by up to 20% in key areas of the site. For the Chamber itself, lead acquisition & member retention has improved. There have been greater internal resource efficiencies. Speed to market, and reaction times for new content and product updates have also improved.